From Wikipedia, the free encyclopedia. 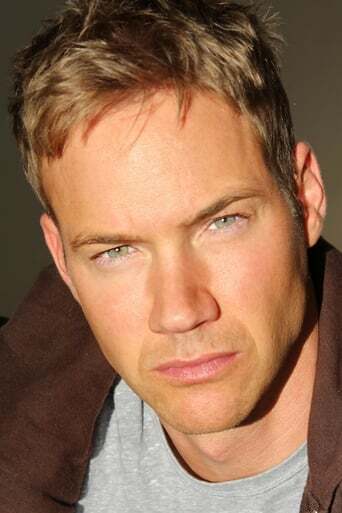 Steve Byers (born December 31, 1976) is a Canadian actor. Byers was born in Scarborough, Ontario. At a young age he had a passion for acting. Graduating with the top award for Excellence in Drama from the Arts program at Unionville High School, Byers continued his study of the acting craft at the University of Western Ontario's Film Program. Steve was named by People magazine as one of the Stars to watch of 2007 alongside Ashton Kutcher and Miley Cyrus. Known for his classic good-looking characteristics including blond hair, sapphire blue eyes, and his physique, he landed the lead role of Jason Tanner on the hit TV show Falcon Beach. Among his first professional roles were guest parts on La Femme Nikita and A Simple Wish. After a move to Vancouver landed him a recurring role on MTV's comedy series 2gether, Steve returned to his hometown of Toronto to star with Rachel McAdams of Wedding Crashers in MTV's Shotgun Love Dolls. Steve has since worked on many network television series including Kevin Hill, Glory Days, and the Dresden Files. His experience continues to grow with the success of 26 episodes of Falcon Beach airing in over 40 countries around the world and a budding feature film career. Steve recently starred in Left for Dead with Danielle Harris (of Halloween fame) as well as completing the film My Daughter's Secret. Steve is currently shooting a feature film entitled Static co-starring Kathleen Robertson, better known for her role on Beverly Hills 90210. Interestingly, one of his co-stars in My Daughter's Secret, Jennifer Grant was also a series regular on 90210. His hobbies include athletic sports such as wakeboarding. To add to his acting role he has worked with the top names in professional wakeboarding to learn the skills of riding. In January 2009, he starred in the short-lived acclaimed prime time drama in CBC's Wild Roses as Will McGregor. He guest starred in the eighth, fourteenth, and final episode of the tenth and final season of Smallville, playing Desaad, one of Darkseid's minions. He will play Heracles in Tarsem Singh's upcoming Immortals. Description above from the Wikipedia article Steve Byers, licensed under CC-BY-SA, full list of contributors on Wikipedia.